Here is the list of such devices which you can use during the celebration without caring about the after effects. The listing confirms that the smartphone is powered by the company’s own Kirin 980 7nm processor clocked at 1.8GHz along with 6 GB of RAM. Huawei has confirmed that the Huawei P30 series including the P30, P30 Lite and P30 Pro will be unveiled on March 26. What this means is that we wouldn’t get to see the flagship Huawei phone during the MWC 2019 event which is set to happen by the end of February. Smartphone photography has thus come a long way from a dainty 0.3-megapixel sensor on the Sanyo SCP-5300 to the triple camera setup on the Huawei Mate 20 Pro. Today, we’ll be looking at Huawei, its sub-brand Honor and their efforts which lead them to be a force to reckon in the smartphone camera game. The update comes in the form of Widevine L1 support which has been rolled out for the Huawei P20 Pro and Mate 20 Pro. Widevine L1 allows users to watch their favourite movies and TV shows in HD and HDR quality on Netflix. Without this certification, devices are limited to playing content at a maximum of 540p. The company recently posted an image on its official Instagram account, which says that EMUI 9.0 update is coming soon to Huawei P20 Pro and Nova 3. The case confirms that the smartphone will come loaded with four cameras and waterdrop notch. The latest update shifts the firmware to EMUI 9.0 and is based on Google’s Android 9 Pie, thus bringing new features from Huawei as well as Google. The list of devices currently getting the EMUI 9 update includes the Huawei Mate 10, Mate 10 Pro, Huawei P20, P20 Pro, Honor Play, Honor 10 and Honor View 10. 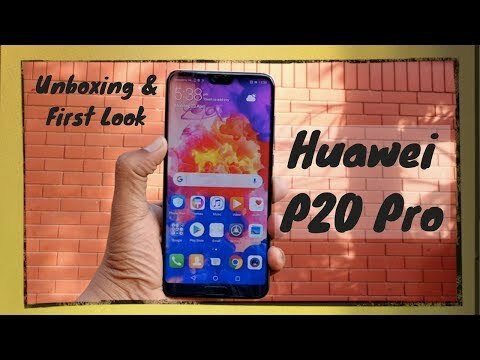 The Huawei P20 Pro marks another first for Huawei, as the first smartphone with three rear cameras along with top-of-the-line hardware and some extra smartness with its Artificial Intelligence (AI).